The Series 7000 Handwheel Lifts are dependable and economical. Models H1 and H2 feature a brass lift nut that ensures smooth operation and extended stem life. 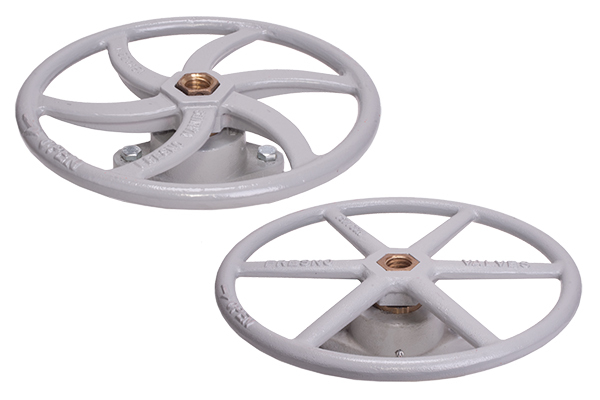 Available for stems up to 1-1/2" in diameter. Handwheel sizes 10" and 14" diameters. Rugged cast iron handwheel and collar. The Series 7000 Model H1B and H2B Handwheel Lifts are manufactured with lubricated ball bearings to provide the smoothest operation. Reduced friction equates to increased lift capacity. Rugged cast iron handwheel and lift housing. 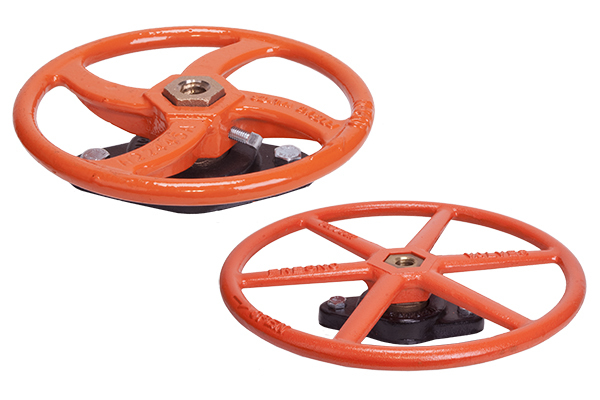 Handwheel sizes ranging from 18" to 24" diameters.